I am a big fan of investigative journalism. 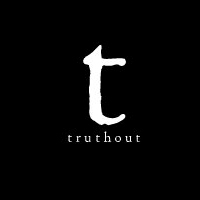 Truthout published an excellent article today by Maryam Heinen, author and founder of HoneyColony, on the present state of cannabis law at the federal level. She covers the recently dismissed lawsuit against AG Sessions, the Trump Administration’s decision to rescind the Ogden and Cole memos, and the mostly undercovered news of recent developments by Insys Therapeutics and other “Big Pharma” companies to seize control of cannabinoid medicine. It’s an excellent article that is well worth the ten minutes it will take you to read it. I have worked with Maryam before and was happy to be quoted in this story, which you can read by clicking here. ← Is Congress About to Fix Marijuana Banking?